Dancers picture are not included. Replace it easily with your own via Smart Object. Link in the Help file. 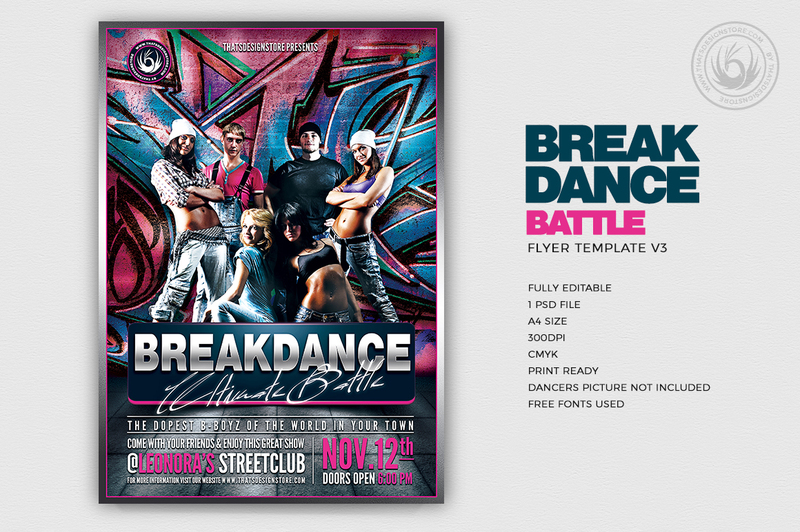 Download this Dance Flyer Template so you can Customize it with your Photoshop. It’s ready to print and 100% editable.